This article will introduce you to the basics of analyzing websites of your competitors and show you what choice of keywords should look like. Thanks to it, you will raise the efficiency of your website positioning process. We will prove that using “long tail” phrases brings quicker advantages when it comes to increasing traffic than difficult and time-consuming positioning of general phrases with the high level of competitiveness. Innovative companies create only a small fraction of the business world. People who run this kind of business are lucky and undoubtedly take advantage from the fact that nobody compete with them. Of course, this state will not last for long and soon there will be many followers. This is why it is important to analyze the situation in the market regularly, especially when it comes to as dynamic marketing activities as positioning. Monitoring of competing websites should start with controlling Google search results for keywords that are the most important in terms of business. Check not only those websites that appeared in the organic results, but also those ones that appeared among paid AdWords campaigns. It is good to check ready rankings prepared by research institutions and companies, for example PBI that presents leaders of various sectors. While entering it, you need to remember that there must be no space after the colon before the website address. 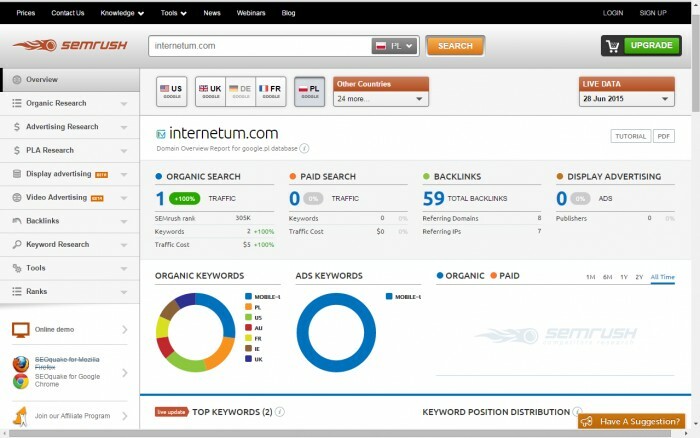 You can get many useful pieces of information thanks to the SEMRUSH COMPETITIVE DATA application. More advanced reports are provided now for a fee, but the basic results of analysis will allow you to draw important conclusions related to the checked website. In a similar way, you can use the application SEARCHMETRICS. The basic access to it and registration are free. 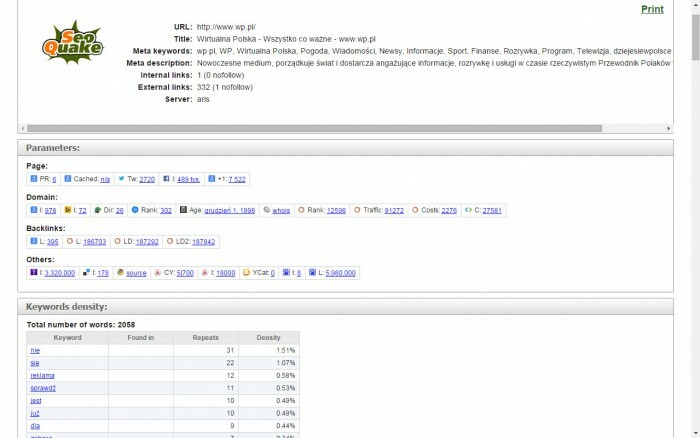 Many other (unfortunately, in most of the cases paid) tools used to investigate websites of competitors are provided by the SEO specialist, Karol Soja, working for Money.pl. They include MarketSamurai and SEMstorm. On the other hand, he mentions also MajesticSEO and Ahrefs (with its free plan Newbie) as tools for the analysis of linked websites. Despite the limitations of obtaining up to 5 reports a day, Ahrefs presents you many very important pieces of information. 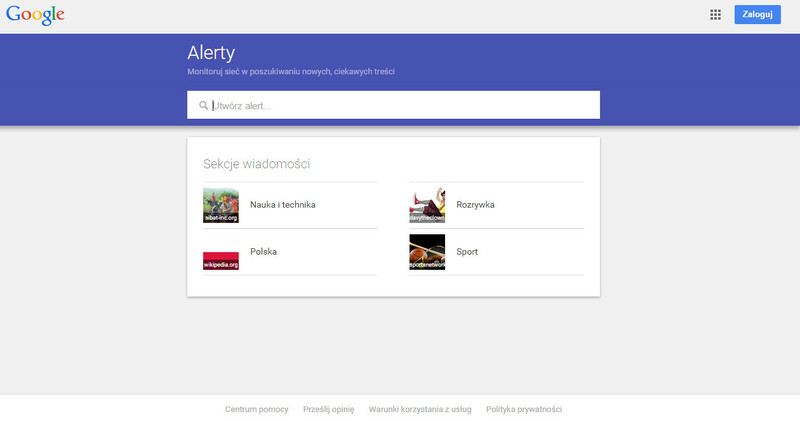 It is also worth to mention another free tool provided by Google. Google Alerts will inform its users, sending them e-mails, about new content with a monitoring phrase that has been published online. Moreover, you should not ignore information that you can obtain totally for free thanks to the browser plug SEOquake. Among the large amount of information that you can receive through it, it is important to pay attention to the “Page Info” – it will present you a list of keywords of the website you are interested in. Many useful for positioning tools also are presented in the article published on Search Engine Land by the Portent Inc. Ian Lurie SEO agency. We encourage you to read it. While assessing a website, you should pay a particular attention to tittles of pages, their uniqueness and development, the use of H1, H2 and other headers, used keywords, their sequence, and the structure of URLs. A well-optimized website will have unique titles and descriptions with thoughtfully located keywords. The structure of SEO links will suggest content of pages they lead to. Online store owners should also check how offered products are assigned to their categories. The sale website should include not only categories that are intuitive for customers, but also categories suggested by the analysis of keyword popularity. In order to evaluate the optimiatisation, you also can use the Screaming Frog SEO Spider application. Its free license should be more than enough to let you find the strengths and weaknesses of the website you are interested in. Checking sources of links, their content and quantity will let you draw conclusions about positioning methods used by your competitors. This will highlight the hazard level or its lack from the side of Google algorithms and filters imposed by them. To implement it, you can take advantages of these tools that have already been introduced: Majestic or Ahrefs. Thanks to the tools that support checking the links between websites, you can try to track down buffer sites or other forms of online activities belonging to the same user (for example, stores connected to other industries). 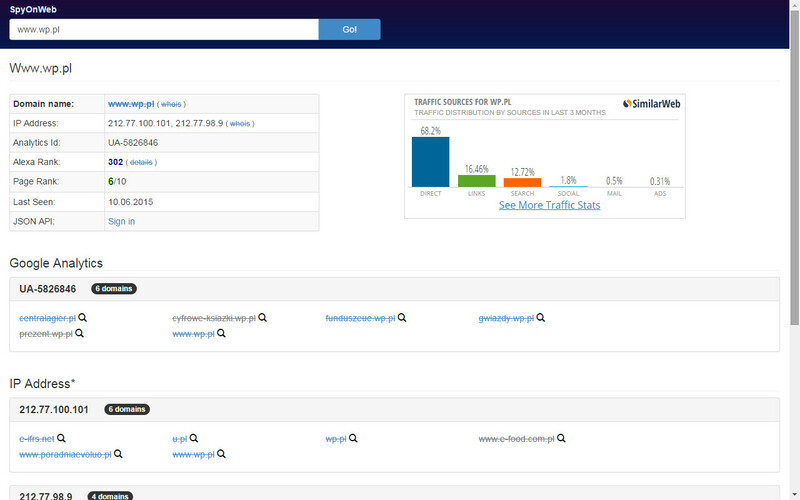 Links can be found through the same Google Analytics code, server IP, and data from the whois database. The application that can be used for this kind of activities is SpyOnWeb. It is also good to refer to Google resources to check domains registered by your competitors. You can do it by typing the phrase: site:whois.domaintools.com „full name of your competitor”. After analyzing your competition, you already have considerable knowledge about it. You even know keywords that should be used on your website in order to increase traffic, improve its position in search engines, and ultimately increase the conversion rate. You should start choosing keywords from analyzing a study conducted with the use of keywords Planner by GoogleAdWords. Once you log into your account, go to Tools and choose Planner. Insert the keywords that you are interested in into the “Find new keywords” form, limit the search by using a filter, so only results that bring larger amount of views can be presented. There should be at least 100-150 of them. Copy and paste those proposals into an excel file. 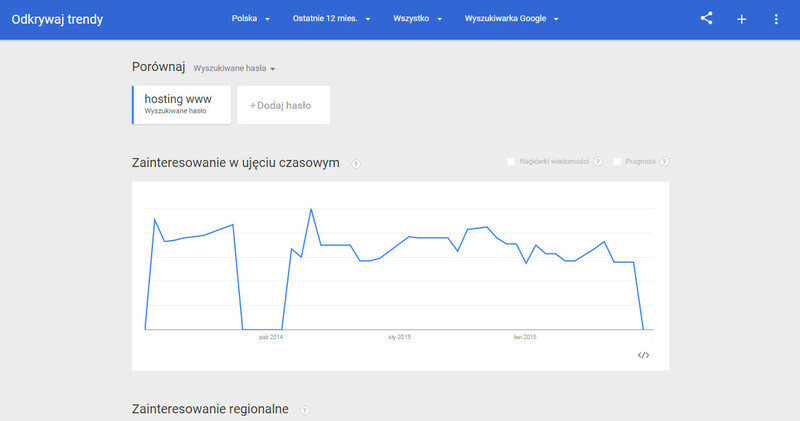 You can try to get keywords not only from Planner, but also from Google Trends. When you add the main subject (phrase), limit the area of analysis in the filter. 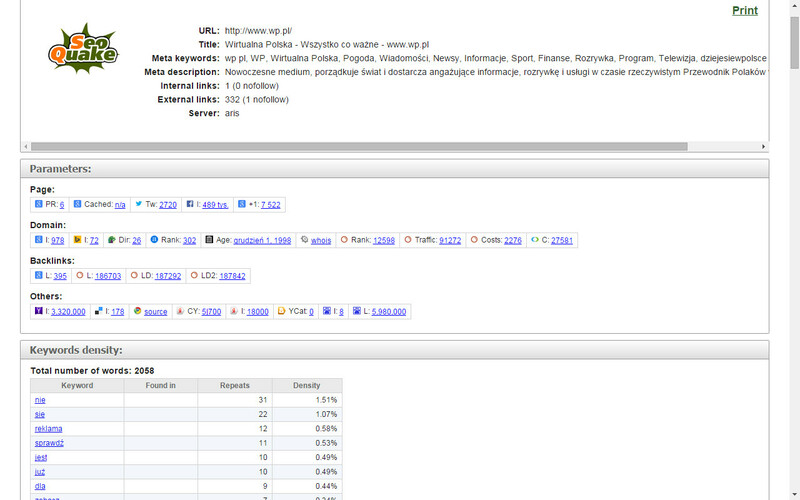 You should not be interested in results from all around the world, but only in keywords searched in your country. Then, set the trend examination period for 12 months. The tool will present you the list of phrases in “Similar searches”. You need to copy the results to an excel file where you already have keywords from Planner. Check if there are no duplicates. If you notice them, eliminate them. Compare frequency of searching for the keywords you are interested in once more. Depending on the number of results you have, set a satisfying scope that will eliminate words with a lower number of views. Analysis of the final file with keywords will certainly show that some phrases can be grouped thematically. A group tells you what a theme or product category should be created on the analyzed website. When it comes to all other words (the most general ones), you need to think of assigning them to your homepage. The final excel file version with keywords you are interested in should have one additional column where you can find exact words assigned to subpages of your website. The resulting file will be an SEO action plan. 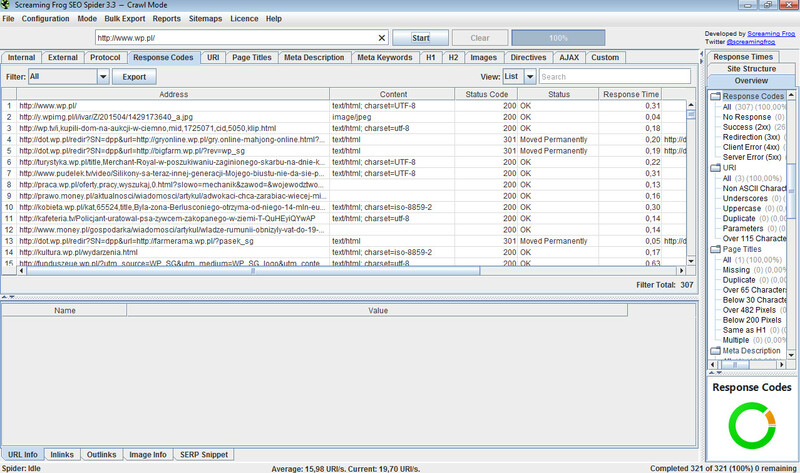 Use it to optimize the data of subpages, keeping in mind associated keywords. You should not focus on general and most popular (according to the statistics suggested by data from Google tools) keywords. Such actions make positioning very inefficient. These phrases are usually very closely connected to already existing competitive websites that you cannot fight in rankings too quickly. A much better solution is suggested by us: positioning of so-called “long-tail” keywords. They are less competitive. Their positioning will require much smaller investment of energy and time.